If you've listened to carefully to anything we've said on this site, you should have picked up that the 2nd generation Chevrolet Corvair (1965-1969) is bad to the bone, while the 1st generation (1960-1964) is a horrible death trap. Ignore all that advice, because we've found a first generation Corvair that might just beat the rap. 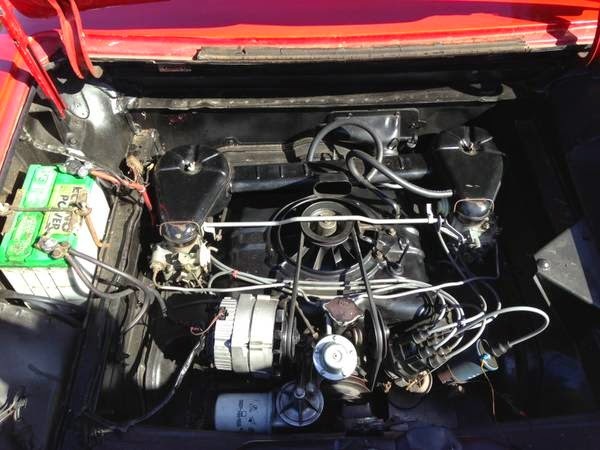 Find this 1962 Chevrolet Corvair offered for $6,500 in Rohnert Park, CA via craigslist. The first generation Corvair has a much more 50s vibe to it then the later version. The Corvair was developed while Ed Cole was Chief Engineer at GM's Chevrolet Motor Division and was a groundbreaking car when introduced. Air cooled rear engine, sporty good looks, coil springs with independent suspension at all four wheels heralded a new era of compact car awesome at GM that was short lived. In the trunk is 2.4 liter flat six rated at 80 horsepower (95 in the high power version) which is unfortunately mated to an automatic transmission. If you are thinking about this car, I really hope you like red. The thing that is particularly interesting in this car is the fact that the seller advertises it as a movie car. More information would be appreciated, but a starring role in a movie could only help the value of this thing. It's good to know that if I am out in the middle of nowhere test driving a Corvair I can alway get a lemon tea Snapple. Great stuff. I may need it after 80hp with an automatic. 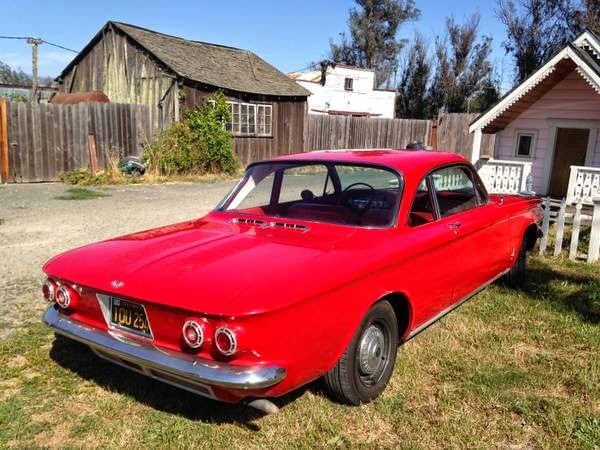 Well, if it was red in whatever movie it was in, we might be able to find it here on the Internet Movie Car Database pages for 1962 Corvairs. Maybe we better check 1961 and 1963 also, since the car could have been mis-identified by a movie fan. On the other hand, maybe I better just get back to work. The handling issues of the early cars are easily solved. All parts from later Corvairs bolt right up with no modification.